January 4: Matt Billingslea’s birthday. January 8: The 40th Annual People’s Choice Awards will be broadcast LIVE from the Nokia Theatre in Los Angeles on Wednesday, Jan. 8, 2014 (9:00-11:00 PM, ET/delayed PT), on CBS. Taylor Swift wins Favorite Country Artist. January 12: The 71st Golden Globe Awards on NBC (8pm ET, 5pm PT). Taylor Swift was nominated for Best Original Song for “Sweeter than Fiction” from the soundtrack of the movie “One Chance”. She didn’t win. January 26: The 56th Annual Grammy Awards will took place at the Staples Center in Los Angeles, California. The show was broadcast live on CBS from 8–11:30 p.m. (ET/PT). 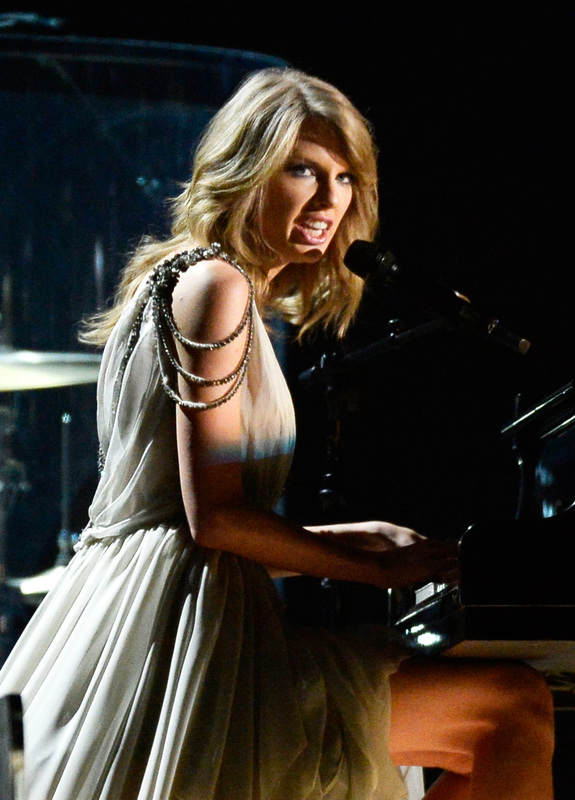 Taylor Swift did a fantastic live performance of the fan favorite song “All Too Well”. She didn’t win any of her four nominations. February 1: The RED Tour in London, UK at the O2. Check here, here or here for ticket information. February 2: The RED Tour in London, UK at the O2. Check here, here or here for ticket information. February 4: The RED Tour in London, UK at the O2. Check here, here or here for ticket information. February 7: The RED Tour in Berlin, Germany at O2 World. Check here for ticket information. February 10: The RED Tour in London, UK at the O2. Check here, here or here for ticket information. 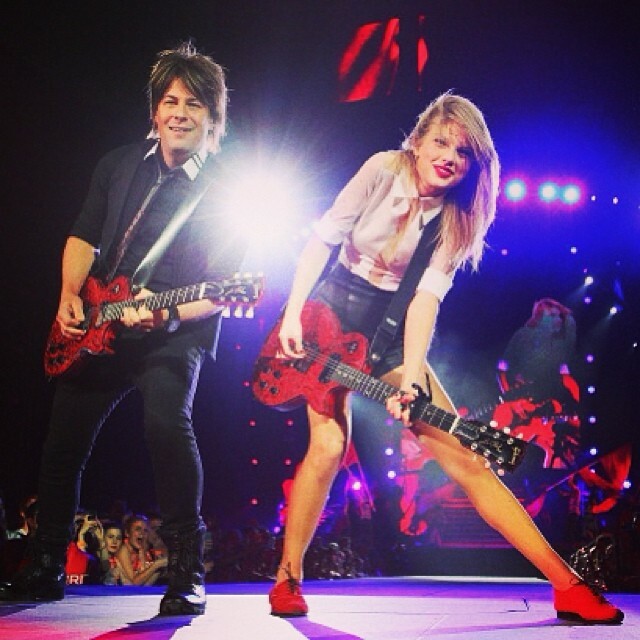 February 11: The RED Tour in London, UK at the O2. Check here, here or here for ticket information. March 11: Sara Evans‘ new album Slow Me Down is out. The track “Put My Heart Down” was written by Elizabeth Huett. March 29: The 2014 Kids Choice Awards airs at 8pm ET / 7pm CT on Nickelodeon. April 6: The 49th ACM Awards. Video of the Year went to “Highway Don’t Care” with Tim McGraw featuring Taylor Swift & Keith Urban. August 10: 2014 Teen Choice Awards airs on FOX. Taylor Swift won for Choice Female Country Artist. August 18: Yahoo! 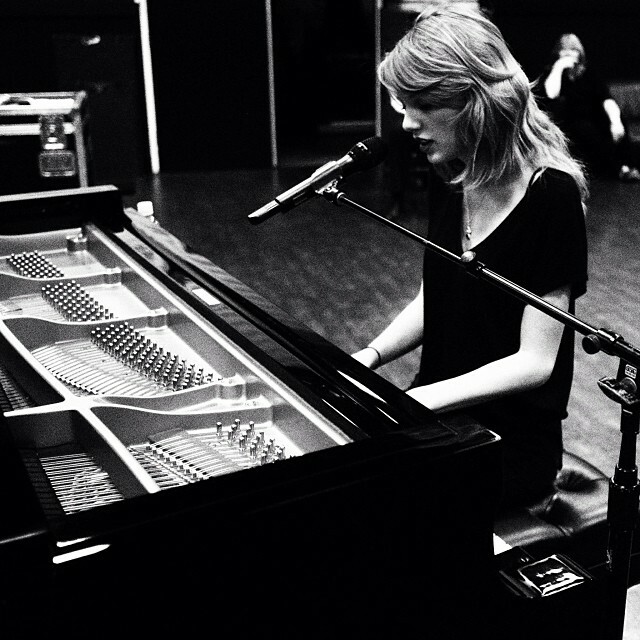 Worldwide Livestream announces upcoming album 1989, along with first single “Shake It Off”. August 19: Taylor Swift on Good Morning America. September 22-? : Taylor Swift will be one of the advisors on the new season of NBC’s The Voice according to US Weekly. October 6: Appearance on Le Grand Journal in Paris, France. October 9: Charity Breakfast for Global’s Make Some Noise Day. October 10: Appearance on The Graham Norton Show. November 25: “Blank Space” performance on NBC’s The Voice. December 12: z100’s Jingle Ball 2014 in New York City, New York. December 13: The Taylor Swift Experience opens and runs until May 2015 at the GRAMMY Museum. December 31: New Year’s Rockin’ Eve with Ryan Seacrest.